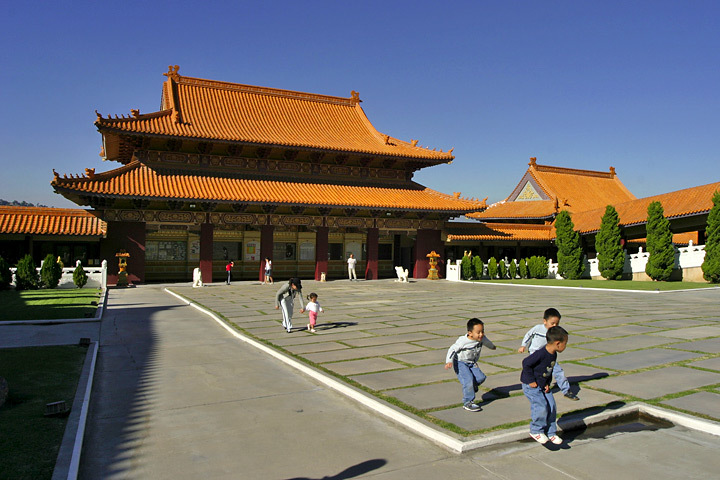 Chinese communities form a substantial portion of the population of the San Gabriel Valley (simplified Chinese: 圣盖博谷; traditional Chinese: 聖蓋博谷; pinyin: Shèng Gàibó Gǔ). The region has achieved international prominence as a hub of overseas Chinese or hua qiao. Although Chinese immigrants were a noteworthy presence in the establishment of Southern California from the 19th century, significant Chinese migration to suburban San Gabriel Valley coincided with a trend of white out-migration from the 1970s onward. This opened an opportunity for well-educated and affluent Asian Americans to begin settling in the west San Gabriel Valley, primarily to Monterey Park.